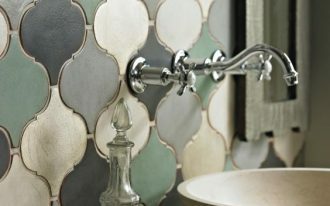 Green can bring refreshing feeling to any room. 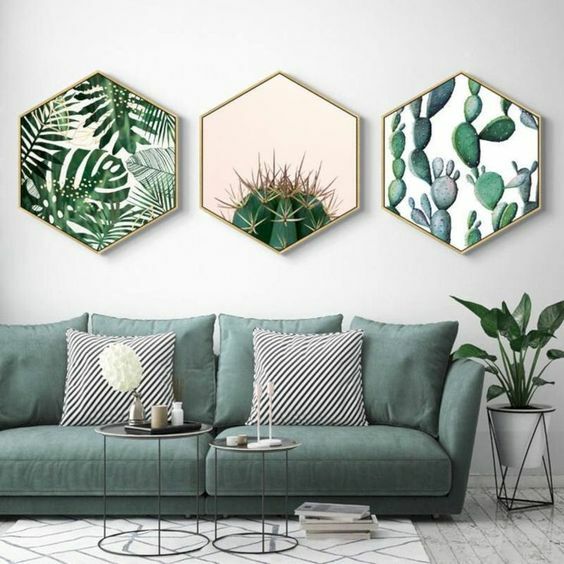 Bringing green into the living room will help you getting a bit of feeling in following the trend of environment friendly. 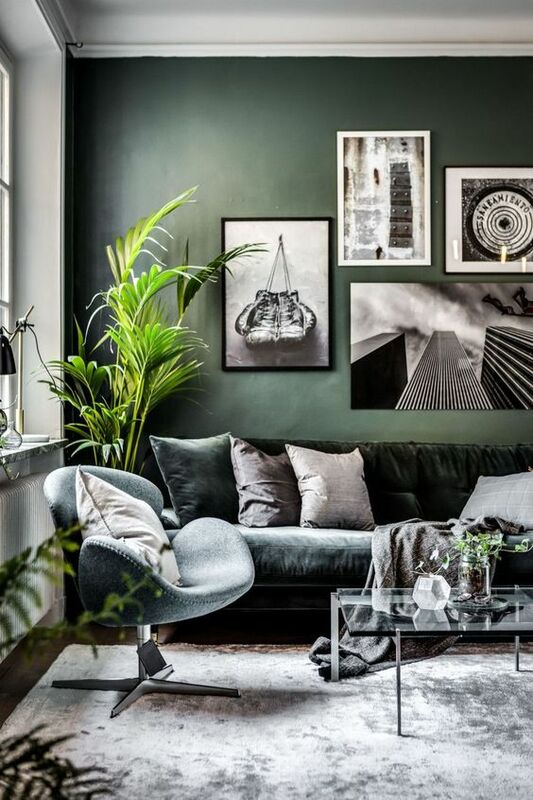 And if you have your living room painted in another color, green will be your next color that you will love the most as will be shown in the picture below. 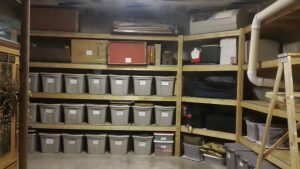 Pictures below will depict how green can rule in any points in the living room and make the room feel more refreshed. 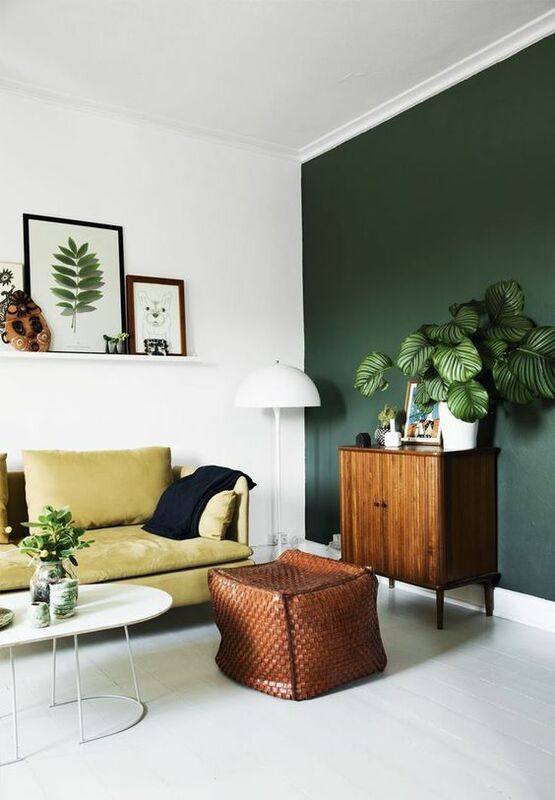 The first picture here shows how green can be placed prettily as accent wall or the sofa. As accent wall, the dark green here brings contrast to the white ceiling, wall, and floor, but a great match for the cabinet and plants on the room. 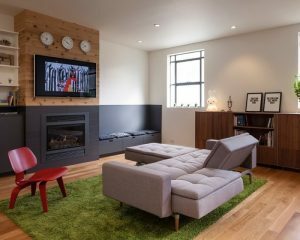 Combined with moss green sofa, the room looks balanced. 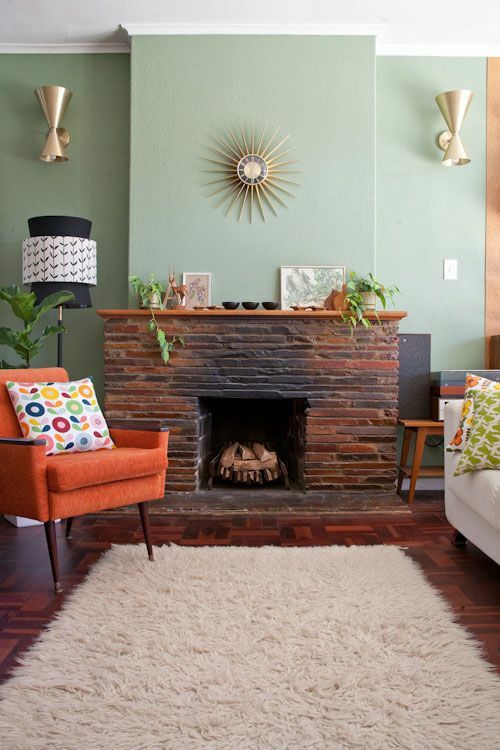 Neutral green can be the substitute for another neutral color. And this one here balances the heavy look from the color and texture of wooden floor and open brick fireplace. IT also makes a great compliment for the warm orange chair. 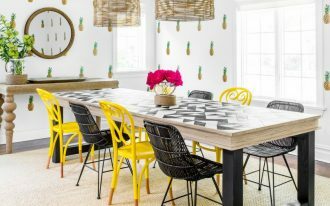 Although the room here is somewhat white, with green geometric patterned rug, this one room can bring green color more popped out. 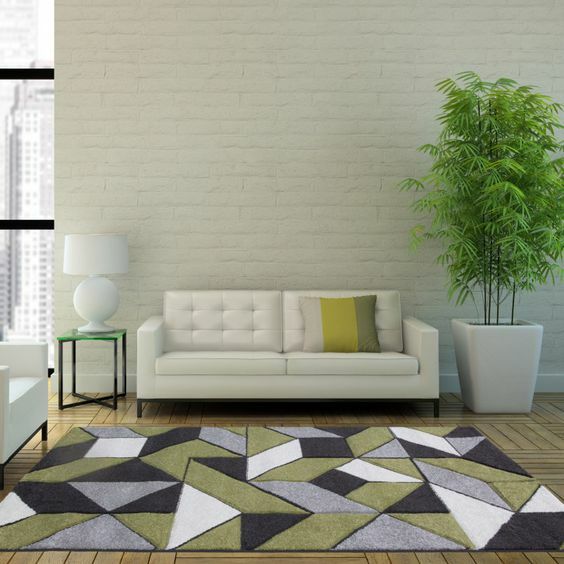 The geometric pattern on the rug takes quite attention. And it bridges well with the room, with the green end table and large green plant on the room. Similar to the previous one, this one here has rug on green. 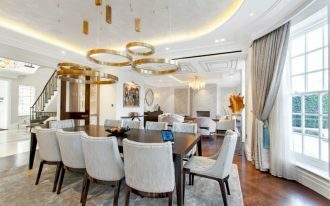 However, not going too bold, this one shows more subtle look that goes very well with the white surrounding of the room. In this one, although it is not the bold green that dominate the color, this soft and moss green can look quite strong too, together. Although it is balanced with off white here and there, green is the first impression when looking at this one. 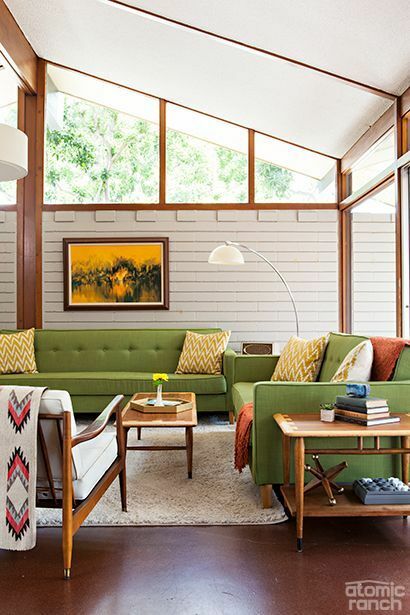 Green can also be used in creating warm and comfortable living room, like this one here. With tufted sofa and thick cushion, it offers warmth look and of course comfortable sitting. Combined with textured rug, this one has soft spots for everyone. This one is another green sofa that offers comfort with its thick and fluffy cushion and pillows. 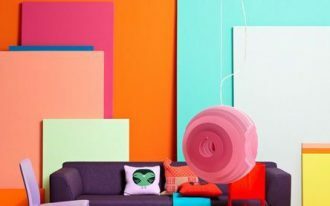 The round nesting tables balanced the room in more modern look along with green geometric wall decorations. 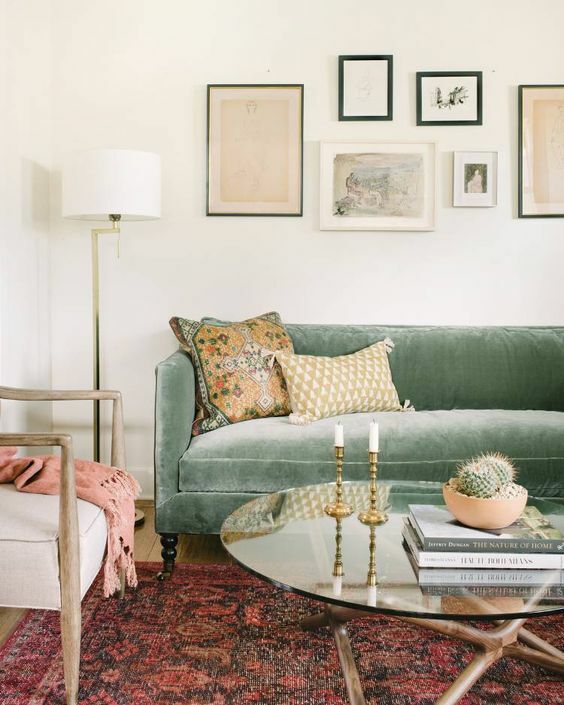 Similar to the previous one, this velvety green sofa brings comfortable and traditional look that blends very well with the other traditional old furniture. 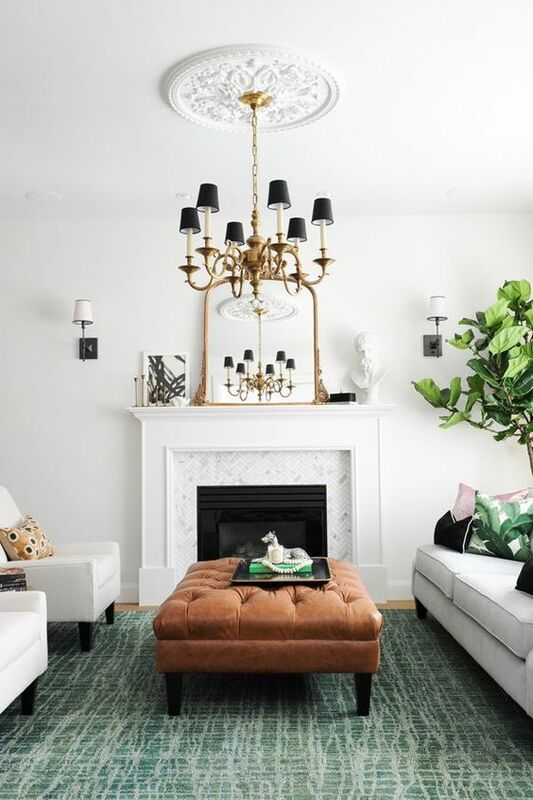 This one uses bottle green to create an elegant look with velvety material on the sofa and rug. 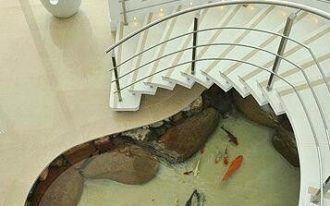 The mix of textures makes this one here looks interesting. 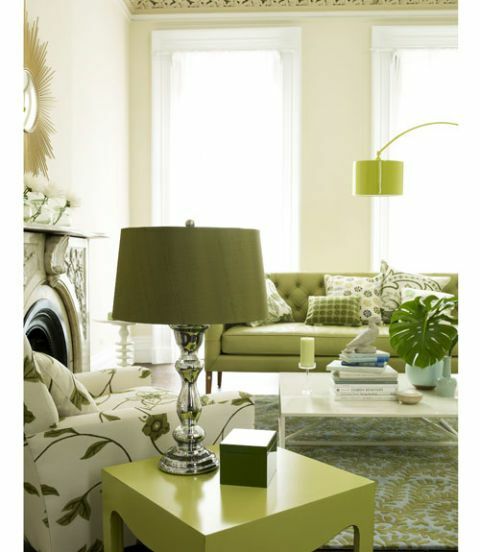 Instead of using green in the sofa, this one brings green color on the wall and complement it with green pillows. 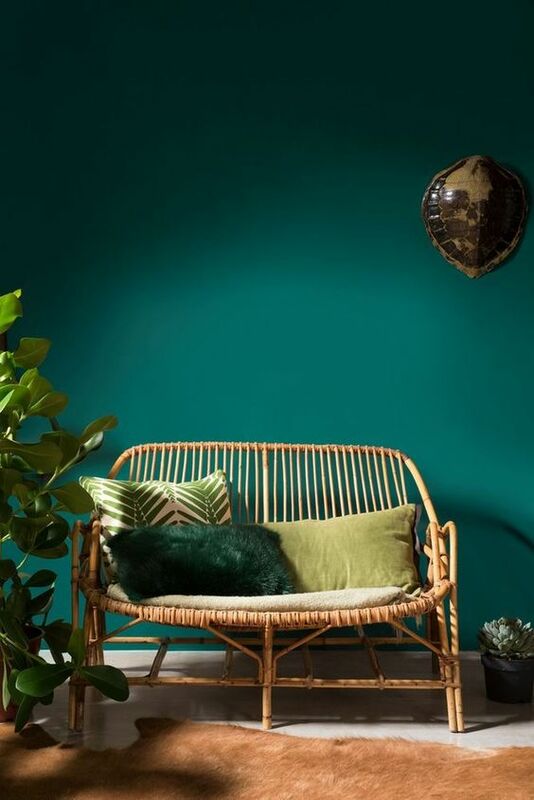 The rattan sofa fits perfectly with the natural inspired look in this one .